Maintaining appropriate conditions in the storage and transport of sensitive products is an age-old problem for food supply chains. Many types of goods can be easily damaged by improper variations in temperature while others can be severely affected by shocks or excessive duration of transport. The impact from unsuitable transport and storage for wine is far greater than the mere cost of damaged goods, as it also includes brand damage for companies such as wine producers, wholesalers, retailers and logistics companies. The size of the problem is very large as nearly 5% of bottled wine worldwide is damaged, up to 25% is negatively affected, and the uprise in quality problems due to improper storage settings , along with 20% of the quality wine consumed worldwide is counterfeit. 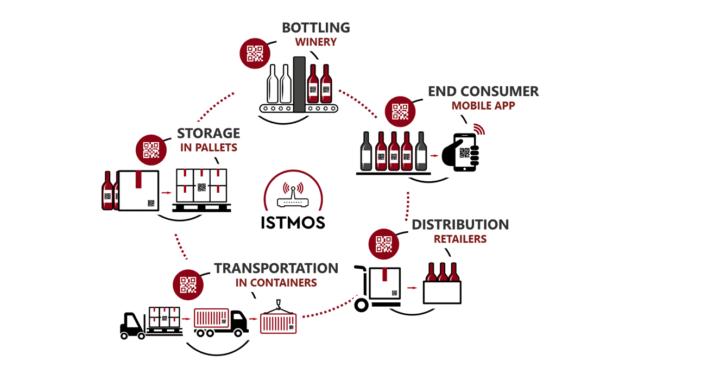 ISTMOS monitoring platform allows the supply chain stakeholders of bottled wine to monitor the most critical parameters affecting wine quality during its storage and transportation. Delivering traceability information down to the level of each individual bottle, the platform includes complex-event processing, rule and alert management and an analytics engine. We employ monitoring stations (fixed for storage and mobile for transportation) and collect and analyze the information on our own IoT platform which relies on FI-WARE enablers, particularly PERSEO complex event processing and ORION context broker. 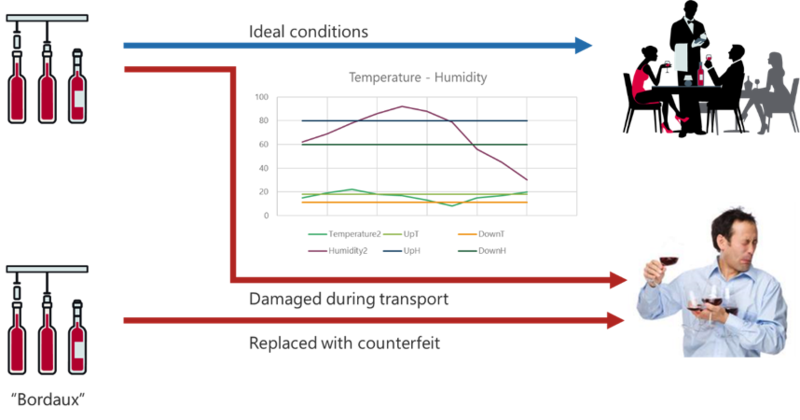 Wineries and retailers already have various types of measurement instruments in place to control temperature and humidity in wine storage spaces. Soon, an increasing number of stakeholders in the wine supply chain will be equipped with a plethora of IoT devices from different hardware vendors to measure wine storage environments. These sensors will operate across a wide range of wireless communication protocols, notably BLE and LoRaWAN, where low-power consumption is important, but also WiFi or NB-IoT. In this market, ISTMOS needs to offer an open architecture solution which doesn’t lock customers into using a restricted set of devices or protocols. The modular, multi-protocol gateway architecture proposed by AGILE represents a promising approach to address the interoperability challenge faced by ISTMOS. Therefore, we have evaluated AGILE as an interoperability solution for ISTMOS gateways. We ported ISTMOS gateway controller logic to the AGILE architecture by developing the necessary containerized applications that interact with several components of the AGILE stack. 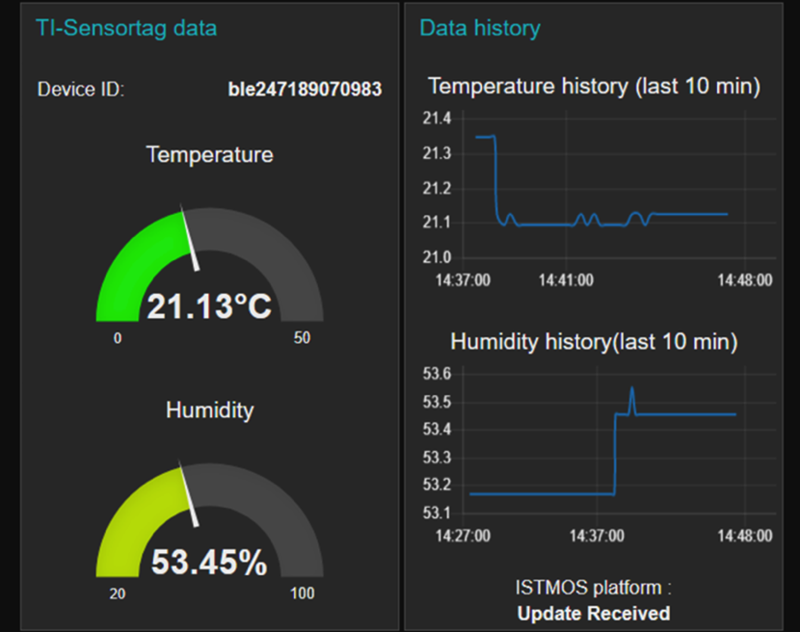 We have used AGILE Node-RED for reading and collecting information from BLE and LoraWAN channels (sensors) and sending data via WiFi or NB-IoT to the external cloud services used by ISTMOS (based on FIWARE enablers). The results of the ISTMOS-AGILE integration have been evaluated through a pilot case study in collaboration with two large Greek wineries. Overall, AGILE offered a good approach for prototyping of devices. The interfaces to Cloud platforms are supportive, while remote fleet management is offering additional possibilities for the offer of custom services. AGILE is a big step in the right direction and has offered us valuable experiences and knowledge that will be further exploited. Posted in Community, Open Calls, Technologies and tagged food, IoT, ISTMOS, supply chain, wine.